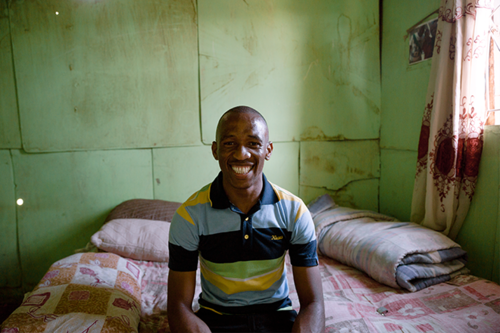 Ntlahla grew up in the Eastern Cape and rarely saw his father, a mineworker, who would come home for Christmas. His father died when he was fourteen years old, only a few months after losing his sister also. Broken, he turned to drinking and girls for comfort as all hope seemed lost. Years later Ntlahla discovered Jump Start, a program helping the youth in schools. Jump Start teaches chess to young people as a vehicle for teaching the Gospel message and issues of identity. They also use Alpha to help young people explore the Christian faith. It was in this context that Ntlahla discovered a personal relationship with Jesus Christ for the very first time. In 2015 Ntlahla started University and was full of hope about his future. However the money he had for his fees was stolen. Disappointed and wondering how God could allow this he returned home without completing his studies. Today Ntlahla is working with Alpha in schools, and running chess programs. He is living up to his coming-of-age name “Jongimveli”, meaning “take care of the youth.” Because of Jesus’ work in his life he is living as a father to this fatherless generation.